Help! I’m applying 2nd round but don’t have my GMAT score yet! It’s October again. People are starting to panic because they want to apply second round (early January!) and they don’t yet have the score they want on the GMAT. Let’s talk about what to do. First of all, you need to set a realistic goal for yourself. What is your current score? How far are you from your goal? We’re only about 2.5 months from most 2nd-round deadlines. In that timeframe, it might be reasonable to make the jump from 550 to 650, from 600 to 670, or from 650 to 700. (The higher you go, the harder it is to go even higher.) Those ranges are just rough benchmarks; some people will be able to make larger jumps, while others unfortunately won’t hit even those rough benchmarks. If you are currently at a 550 and want to get to 720, it’s likely that you’ll need more time (especially considering that you also have to complete applications in the same 2.5 month timeframe!). You may need to choose between lowering your goal score and delaying your application—to the third round or to next year. You might also need to reduce the number of applications you’re planning to submit. It would be challenging to apply to 6 schools and commit to a full GMAT study schedule at the same time. Or maybe you have been studying a bit and know what you need to do, but you haven’t found the time to do a comprehensive review. If that’s the case, it’s time to commit 100%, get your study plan together, and start a daily study regimen. Finally, perhaps you’ve been procrastinating altogether—life is busy and nobody really wants to study for the GMAT. If this describes you, my best advice is to get yourself into a class immediately. You likely don’t have the time to evaluate the various resources available, put together a full self-study plan, and then execute. At this stage, it’s better to dive into a complete program and get cracking. The one exception to that is someone who has done very well on standardized tests in the past. If you self-studied for the SAT (or a similar test) and did a great job in a relatively short period of time, then self-study may be the way to go for the GMAT. What do I need to do to lift my GMAT score? First, the single most important mistake that people make on the GMAT is to treat it as an academic test, especially on the math section, where every question has a right answer (vs. a “best” answer on verbal). 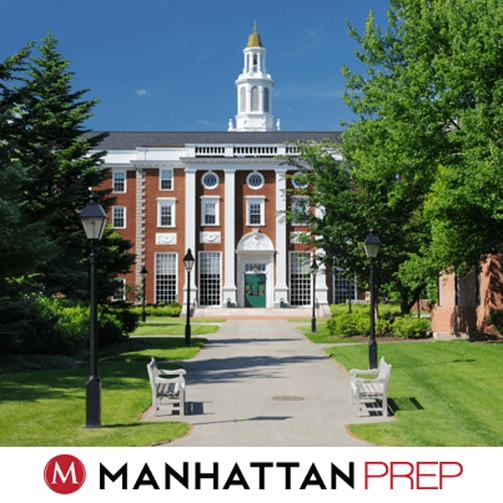 The GMAT is not an academic test! I know it feels like one, but it’s not. This is what the GMAT really tests. If you want to hit your maximum potential, you have to wrap your head and heart around the mindset described in that article. You can’t just know it intellectually; you actually have to believe it, or you are likely to revert to the old “school test” mentality under the stress of the real test. Next, you of course need to know the content—the facts, rules, and concepts tested on the exam—as well as how to handle the various question types. That’s all the 1st level of GMAT study; if you’ve been studying for a while, you likely have a decent handle on a lot of that material. Beyond that, you need to learn how to think your way through GMAT-type questions, what we call the 2nd level of GMAT study. If you have hit a plateau in your scoring level, then it may be because you haven’t made the leap to the 2nd level. I’m going to go back to the “set a realistic goal” idea for a moment. The higher you want to score on this test, the more you will need to master that 2nd level. If you haven’t really begun to study yet, and you want a 700+, then you are setting yourself the task of getting through both levels in 2.5 months (or sooner). That is a very ambitious goal—too ambitious for most people. So you’re saying there’s not enough time? I should just give up? No, of course not. You’ve got to try! Just be realistic and, as with anything important in life, have a back-up plan. If you just can’t make it happen this year, you can always apply next year. If you’ve been studying and are decently close to your goal already, then there are some additional things you can do to try to secure a final boost to your score. The good news is this: it’s reasonable to pick up 20 to 30 points (sometimes more, if your timing issues are severe) in about 2 months by fixing timing issues alone. Analyze your most recent one or two Manhattan GMAT CATs to determine what your particular timing issues are. Then learn how to manage your time on the GMAT, starting with developing your 1-minute time sense (section 4 of the article). Next, focus on the low-hanging fruit. Don’t try to turn your biggest weaknesses into strengths—that will take forever. Instead, minimize careless errors. You already know how to get those questions right, so make sure you earn those points! The article in the previous paragraph that details how to analyze your CATs will help you to place your strengths and weaknesses in one of several “buckets.” Focus on bucket 2. If you want to enlist a tutor to help you over that final hump, the best thing you can do is take a practice CAT (not GMATPrep, but one that actually provides good data to analyze) and have your tutor analyze it. Use that to set up a study plan, making sure to focus on timing as well as low-hanging fruit. When you feel you’ve made good progress on the issues identified in that first CAT (approximately 2 to 3 weeks, if you’re studying regularly), take another CAT, have the tutor analyze it, and start all over again. Repeat until you’re ready to take the real thing. You don’t have to use a tutor of course—you can analyze your tests yourself, using the article I linked above. Just go through slowly and carefully to give yourself the best shot of catching everything. Expect to take at least an hour for the analysis; if it takes less time than that, then you are probably missing some important clues that could help you in your studies. Finally, pick your battles. Don’t try to learn everything. Your best strategy for your bucket 3 categories is just to get them wrong fast and use that time and mental energy elsewhere. Don’t bother trying to turn your biggest weakness into a strength. Don’t spend 10 hours studying combinatorics, when most people see 0 or 1 combinatorics question on the real test. Focus on the low-hanging fruit in bucket 2. (2) Fix your timing. Everyone has timing issues; figure out your own issues and make them better. (3) Focus on the low-hanging fruit! Start with careless errors. Next, concentrate on improving moderate weaknesses. Guess quickly on your biggest weaknesses and use that time elsewhere on the test.